The whole notion, proposed by Magda Gerber , that my children are capable, unique individuals worthy of my respect from day one, completely resonates with me. Understanding that who they are and how they act, today, right now, is perfect for them, has allowed me to let go of my preconceived ideas of what I think they should be doing and allowed them the space to grow in confidence, paving their own paths under my gentle guidance. 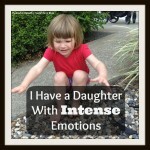 One thing I learned early on in my parenting transition was to take small steps. Read enough articles to get the general feel for respectful parenting and then focus on one area for change; sticking with it until it has become habitual. It can take weeks of dedication to change just one area of parenting in this way. 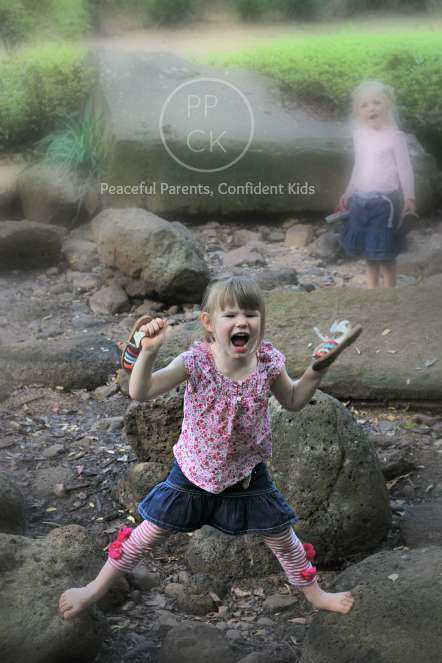 I have gathered together a collection of articles that I feel sum up some of the key areas of this respectful parenting approach. 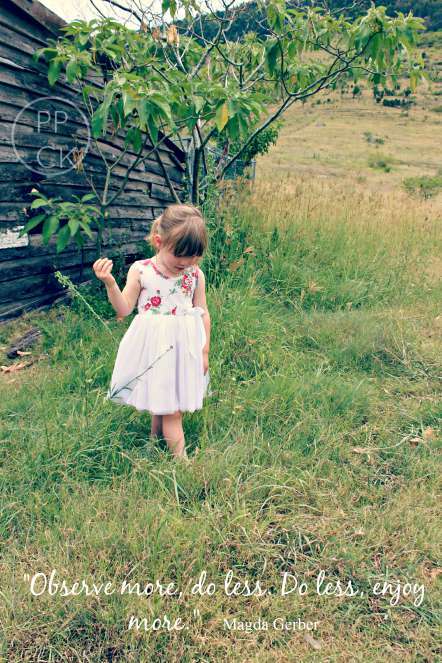 To view a child with respect in all situations; trying to take in the world from their perspective and treat them with love, understanding and acceptance, is one of the main underlying values of RIE. This makes it possible for everyone to adopt this approach, regardless of their child’s temperament, personalities, abilities and inabilities. For parents with newborns, building a connected relationship and trusting in a child’s capabilities and competence from birth is important. 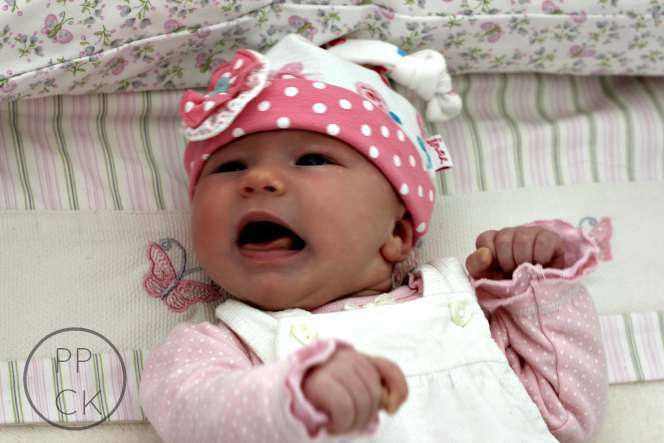 The articles here will help guide you through this stage of your infant’s life. The key here is to change your insecurities and negative perceptions about crying. We are ‘taught’ that a baby crying can only be a bad thing and should be stopped at all costs, but when we consider that crying is a form of communication, we can get past this notion and stop to listen to the story our baby is telling us instead of shushing her and in essence telling her we’re not interested in what she has to say. Magda Gerber believed It is best to allow babies the time and space to self-soothe and settle themselves to sleep from the beginning. To dispel a common misconception, this does not mean you simply leave a baby crying hysterically as they learn to self settle. They will of course need support and understanding but ultimately they will learn to put themselves to sleep if they are trusted to do so. Connected care giving is one of the cornerstones of the RIE approach. 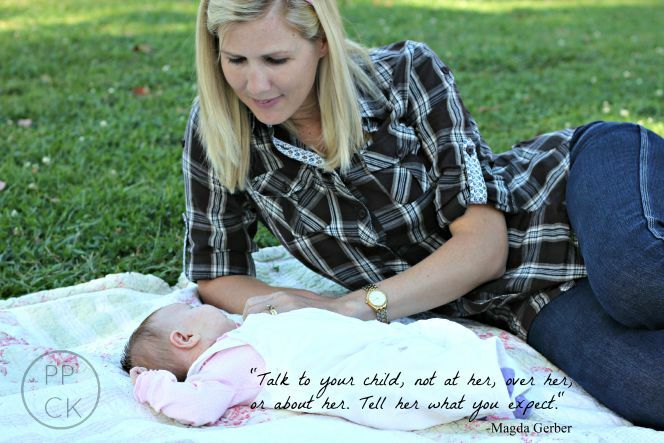 Using this time to build a relationship with your baby, showing them gentleness and love as you get to know them, is so important and wonderful. The message is to slow down each step of the process and allow your baby time to process and eventually participate in their own care giving including diaper changes, dressing, bathing, meals, nail clipping, hair brushing etc. When you first bring baby home, EVERYTHING is new and exciting. You are meeting your child for the first time and will want to know everything about them and conversely, want them to know all about you and the world around them. It is common for parents to be excited to see their baby respond to them and show them recognition. It is also natural to want to play with baby; shake things in front of their eyes and goo goo and gah gah into their face. It seems normal and even beneficial to lie baby under a play gym with bright colourful and noisy toys for them to look at and interact with. The simple truth, however, is that babies don’t need all this and actually appreciate a less invasive, authentic approach to play as they take in the world around them. This is also good news for a parent’s bank balance. Trusting babies to be self initiators through their developmental milestones helps to instill a true confidence in themselves which goes a long way to making them complete masters of their own abilities. This is by far the most joyful part of RIE parenting for me. To see the look of elation and pride on my child’s face when they have completely mastered a milestone or other challenge without guidance or even expectation from anyone else is truly wonderful. 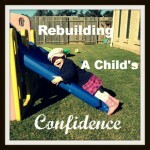 As children grow, they begin their transition from complete dependence towards independence and the need for autonomy. 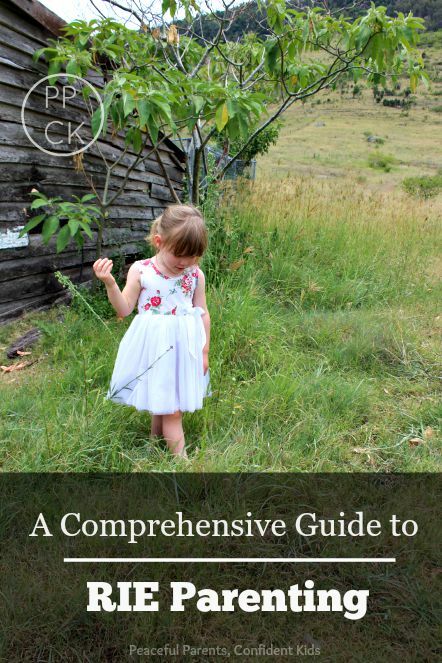 This can be an extremely trying stage for parents, as they try to steer their children in the right direction efficiently and effectively, and toddlers, as they seek to choose a completely different pathway of their own. 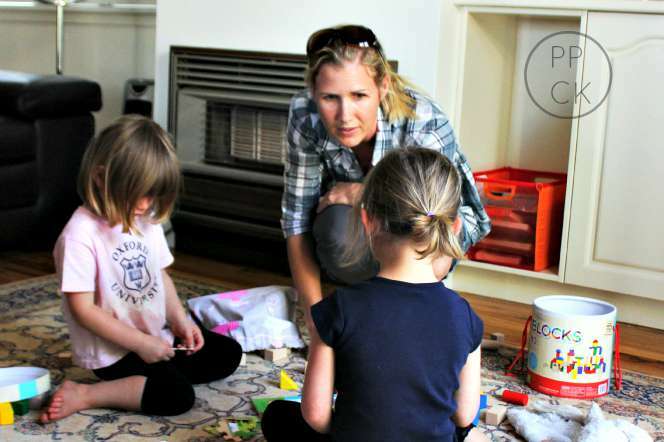 Parents hope to meet their toddlers in the middle at some stage and to find a harmonious balance which addresses the needs of everyone in the household, but until that time there are some important tools parents can use to ensure they can remain connected with their toddler even when they seem completely objectionable to every action and inaction taken on a daily basis. When a child is upset it is natural for parents to want to take away their hurt. Whether their emotions are due to a bump, the frustration of not being able to do something or as a direct result of your denying them a goodie or requiring them to complete a task, it can be hard to hear a child express their unpleasant emotions as freely as they all seem to be able to do. 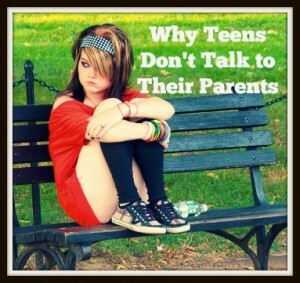 So, many parents distract or punish or give in to demands to make it stop. Neither of these options are beneficial or supportive of a child’s delicate feelings. Acknowledging feelings in all situations where emotions are present helps them to feel heard and understood. It strengthens the parent- child relationship as the parent demonstrates with authenticity that they understand how hard it is for the child at that moment. This keeps the doors of communication open so children feel more able to share the big stuff when they are older. Young children can present us with a full range of emotions due to the immaturity of their frontal cortex and deep reasoning parts of their brains. 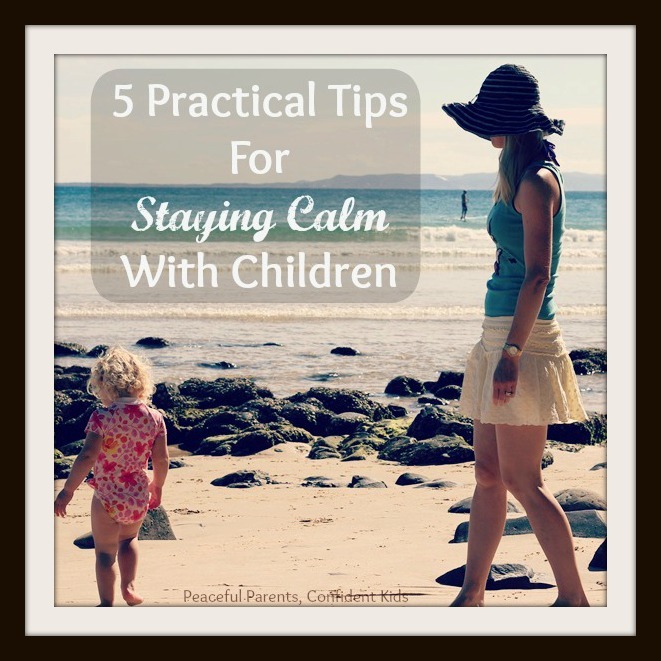 Remaining steady and calm during these moments is the key to supporting children through them; staying present with them until the emotional wave breaks and they reach a state of equilibrium allows them to feel safe, loved and acceptance when they are feeling out of control. 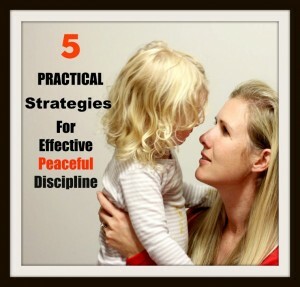 It can be easy to confuse peaceful or respectful parenting with permissive parenting but I can definitely attest to the fact that it is possible to set the boundaries our children need and want without yelling or resorting to other punitive methods. It usually takes a little longer for respectfully parented children to internalise the appropriate behaviour but this is because they are not acting out of fear, they have to learn through their own sense of right and wrong. As long as limits are set firmly and consistently by the parent, they do eventually stop testing them. Sportscasting is a vital skill to develop for anyone choosing a respectful parenting pathway. In essence it is akin to narrating the situation to a child in times of stress. Whether your children are frustrated, have hurt themselves or are in the midst of a full blown battle with a sibling, they need to know you are there for them and can empathise with their plight. Similar to acknowledging feelings, this technique allows you to do this for your children without taking away the opportunity for them to work through their problems independently. 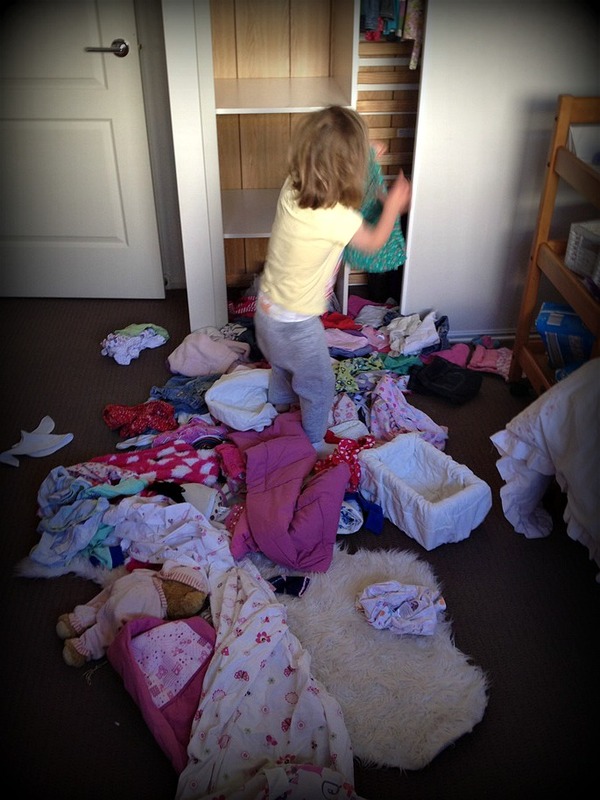 Much of a toddler’s life is dedicated to play. 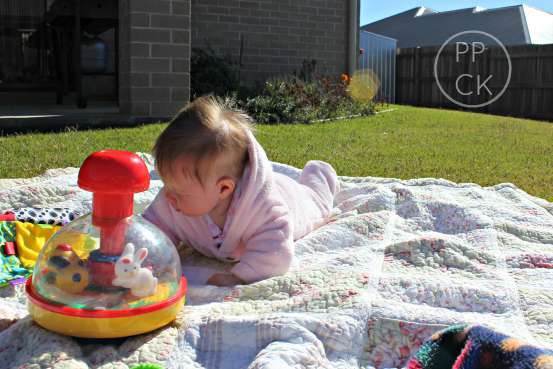 In fact if they are not involved in a care giving experience like eating or bathing, they are usually engaged in play. The thing is, it may not always look like play to you. When they are pulling all the cups out of the kitchen cupboard and then rolling them around on the floor, they are playing, when they scoop bird seed out of the feeder and scatter it on the trampoline to watch it spring into the air when they jump, they are playing. To foster creativity, inquisitiveness, independence and above all, confidence, it is important to recognise that children are the masters of play and taking a step back and allowing them to approach it in their own unique way can help to do just this. 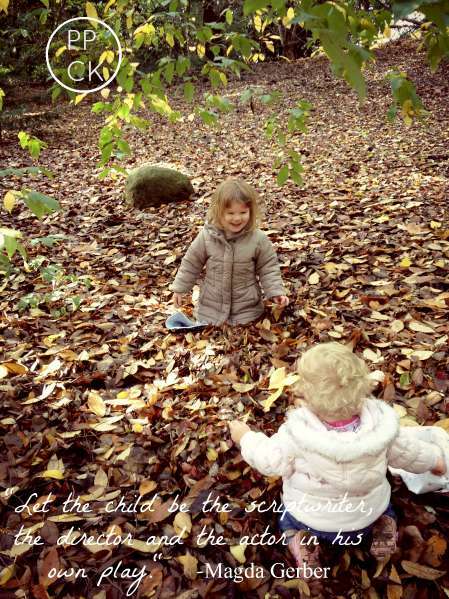 Having a dedicated ‘Yes Space’ (a term coined by Janet Lansbury) is an integral part of RIE parenting. This is a secure space for young children to be free to play without the need for constant supervision. Everything in this space must be safe such that if the parent were trapped outside the house and could not get to the child for a period of time, the child would be safe in that space. The idea of this area is that without needing constant redirection or input from parents, the child is free to explore, create and investigate more deeply than they otherwise would be. Respectful parenting at mealtimes is so important to help your children develop nutritious eating habits and healthy food associations. The desire to ensure children eat the right amount of vitamins, minerals and fibre can sometimes blind parents to the fact that each mealtime is the chance to connect a little more, learn a little more and set up a future where their children can grow to enjoy a healthy relationship with a wide range of foods. The dinner table does not need to be a battle ground causing stress for young and old family members alike. 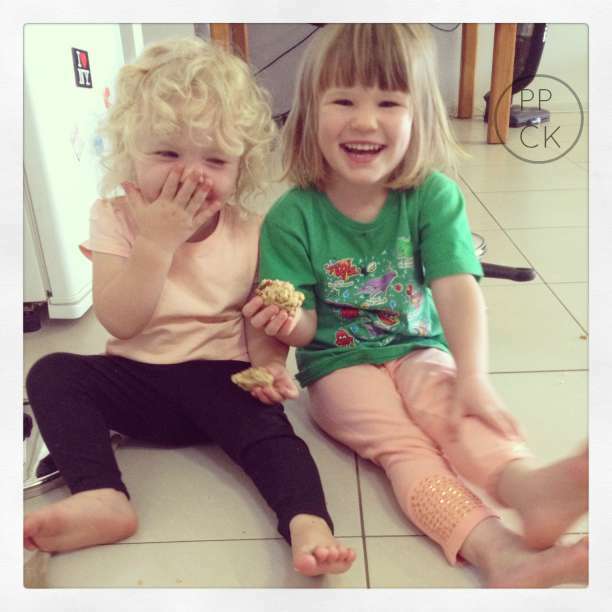 At dinner time, offering a range of healthy food types and preferably having your children serve themselves is ideal. Avoid enticing your children to take just one more bite by dangling dessert in front of them. Trust them to know their tastes and when they are ready to try new foods. Trust them to know when they have had enough and help them learn appropriate meal time expectations by setting limits. This is something very close to my heart. I decided to add this as a separate section because it really is probably one of the most stressful parts of parenting. We all dream of having children that play beautifully together, who protect each other and generally get on. However, it is the reality for many of us that our children do none of these things and in fact do quite the opposite. Feelings of jealousy, anger and even hatred are all commonly felt emotions siblings feel towards each other. RIE teaches us that this is Okay. It is okay for your children to feel these things and using punishments to deter them will usually only serve to deepen the emotion felt. In an attempt to foster the love and connection between siblings it is best to stay neutral and allow your children the room they need to express negative feelings as well as resolve their own conflicts. This does not mean you ignore the fighting, the bickering and struggles. Instead, use some of the aforementioned tools such as sportscasting and acknowledging feelings throughout heated moments. Try not to solve the problems for the children, rather, let them know you trust them to figure it out wherever possible. Thanks Kate! 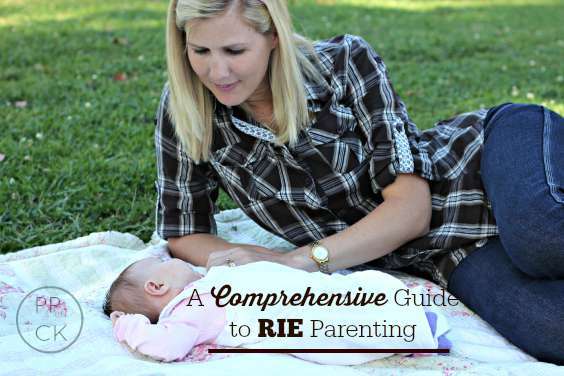 This is a great list of RIE resources and description of some of the basics! I had never seen the Diapering Lizzie video before. That was EXCELLENT! Amazing blog, well written post on RIE implementation and principles by core subjects. “The whole notion of Magda Gerber’s that my children are capable, unique individuals worthy of my respect completely resonates with me. Understanding that who they are and how they act, today, right now, is perfect for them at this time, has allowed me to let go of my preconceived ideas of what I think they should be doing and allowed them the space to grow in confidence, paving their own paths under my gentle guidance. Oh this is really helpful, thanks! I started following you a few weeks ago and I am loving your philosophy and respectful parenting advice, thank you for this. I have a 4.5 month baby girl and I am trying to be conscious in the way I deal with her and I can already feel a difference in our relationship. My question to you is regarding being a working mother. I returned to work 2 weeks ago and I am consumed with feelings of guilt of leaving my baby for long hours (8:30am – 5pm). I try my best to focus on spending quality time with her for 2 hours when I get home before putting her to bed, and in the morning before I go to work, but still, the guilt is overwhelming. I am fortunate enough to have help at home. The nanny loves the baby and treats her like she’s her own, which is great of course, BUT she shows her love by constantly carrying the baby and trying to entertain her all the time. While I appreciate her help and trust her to take very good care of my baby while I am away, I am worried that our different styles may start to create conflict and confusion for the baby. 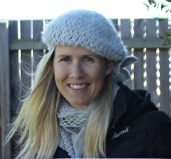 I don’t want to create an issue with my live-in nanny because I know what she’s doing is out of pure love… any advice? 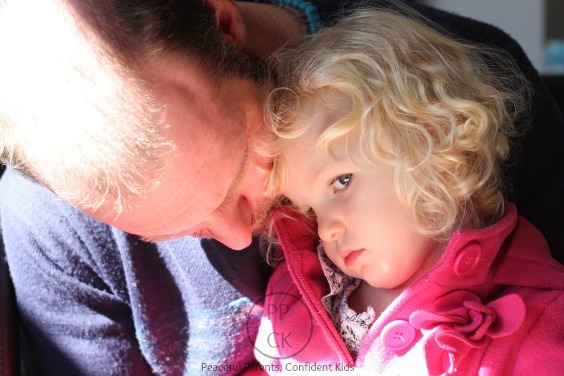 Pingback: What to do When Your Child Tells You to GO AWAY! Wow! This is amazing! Thank you.